Here is an incredibly rare opportunity to dive right into the middle of the Ponsonby and Herne Bay hub at the entry level end of the spectrum. Tucked away in a quiet, sunny street, easy walking distance to both Ponsonby and Jervois cafe strips, you'll find number 92 Clarence Street. This is one of those homes that gives away very little from the street, but opens up wonderfully and delivers on all fronts once you step inside. It's absolutely beautiful. A truly spacious three bedroom residence with a grand and welcoming entrance way, generous living area, easy indoor/outdoor connection and a lovely, level and private back lawn. Immaculately presented, with a very versatile and sensible layout - this property will suit almost every lifestyle and stage of life. 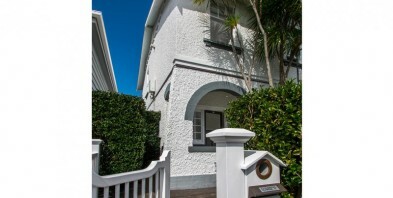 A very rare Ponsonby opportunity that offers lifestyle and location that are absolutely second to none. View this home at your earliest opportunity.